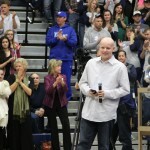 More than $95,000 was raised during Wish Weeks in February, March and April, thanks to the students at Legend, Ponderosa and Chaparral high schools, their families and the community. 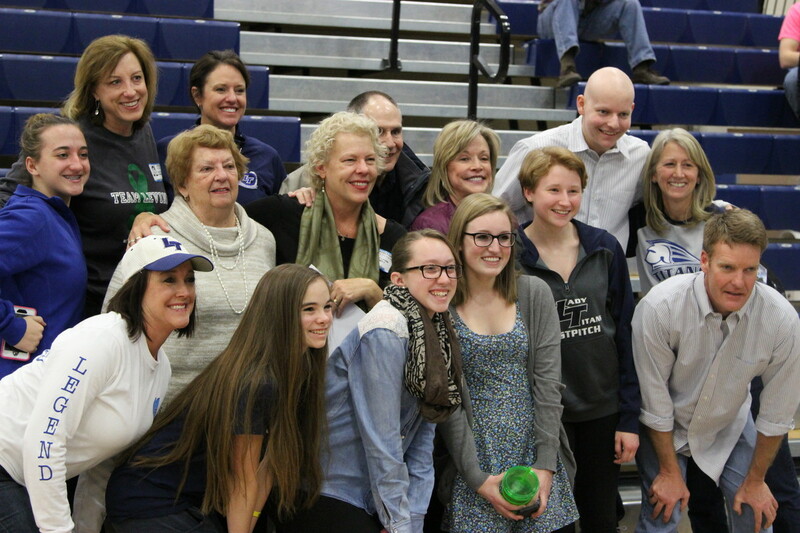 The Make-A-Wish fundraisers began in February at Legend High School, where students raised $10,000 for #teamlevine and $15,000 for Make-a-Wish as they focused on helping to pay medical expenses and grant the wish of Legend’s own Dalton Levine to visit England. 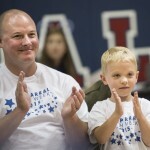 Dalton was diagnosed this past fall with adrenal cancer. Since then, he has had two surgeries as well as many rounds of chemotherapy. “Dalton is still going through treatment, so we still wanted to contribute to that effort as his journey with cancer continues,” says Tina Stroman, a Legend language teacher and student government sponsor. “We wanted to make sure that Dalton’s wish was granted, and we also wanted to make sure that funds were available for his treatment and medical costs. “Students participated in many exciting events, such as a movie night, Putt-Putt golf, dodgeball,” as well as a Frosted Formal Dance to celebrate “one amazing Wish Week,” Tina says. “In addition, there were many local restaurant nights that gave back a portion of their sales to Legend’s Wish Week,” including Chili’s, Panda Express, Orange Leaf Yogurt, Swirls, Chick-Fil-A, Dominos Pizza, and Manua Snoa shaved ice. 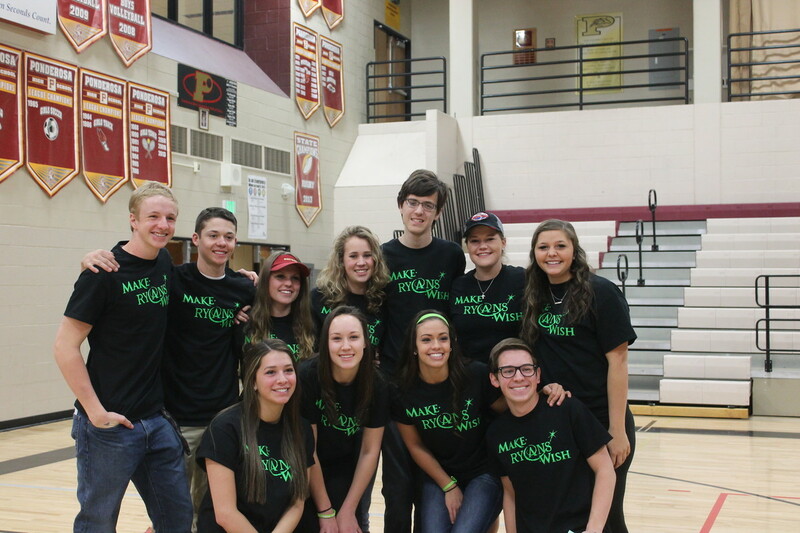 Ponderosa held its campaign in March, raising $31,400 for Make-A-Wish Foundation and the wish of Ryan Kroll, a Ponderosa student who suffers from Neurofibromatosis 2, a distinct genetic disorder. 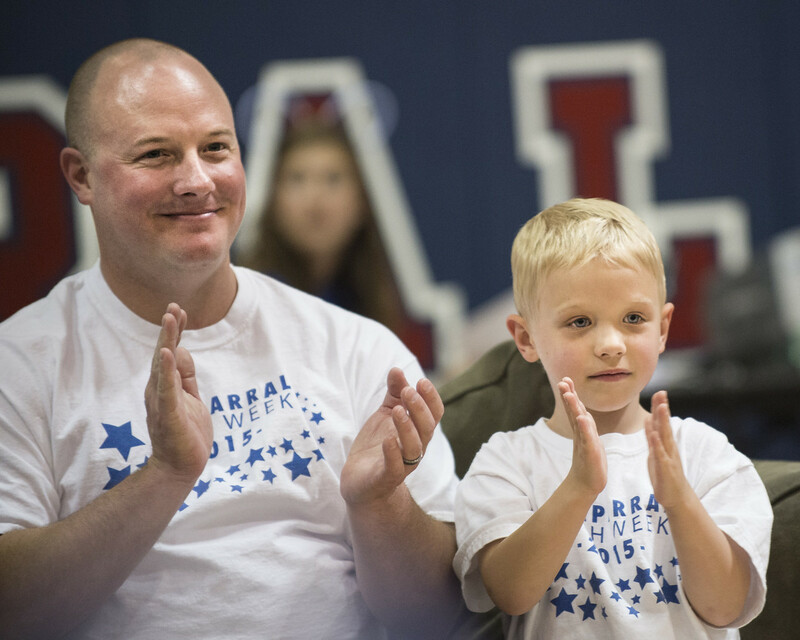 Ryan has valiantly fought his disorder and overcome multitudes of surgeries to remove tumors, including his latest, an orange sized tumor in his brain, says Natalie Munoz-Garcia, Ponderosa assistant principal and activities director. His wish is to attend MineCon in London this summer, she adds. Michelle Kroll, Ryan’s mother, thanked everyone involved. 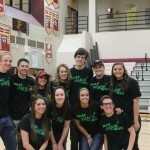 “The students, teachers and staff of all of Ponderosa went above and beyond for Wish Week,” she says. 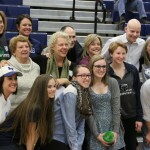 “I was never so proud to be the parent of three PHS students as I was last week. The whole Parker community came together and it was amazing to see. 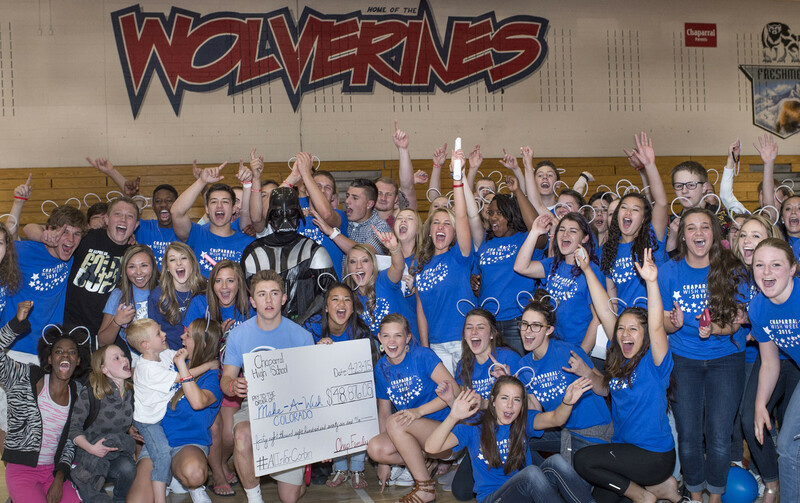 Last, but certainly not least, was Chaparral High School’s effort, which raised an astonishing $48,876 as it worked to honor the wish of Corbin Garrett, a 4-year-old who is currently in remission from his battle with cancer and whose wish is to go do Disney World and Meet Darth Vader. Chaparral’s week included a dodge ball tournament, movie night, prom dress auction, 5K race, spring carnival and restaurant sponsorships from Lil Ricci’s, Chipotle, Texas Roadhouse and Golden Flame Wings. 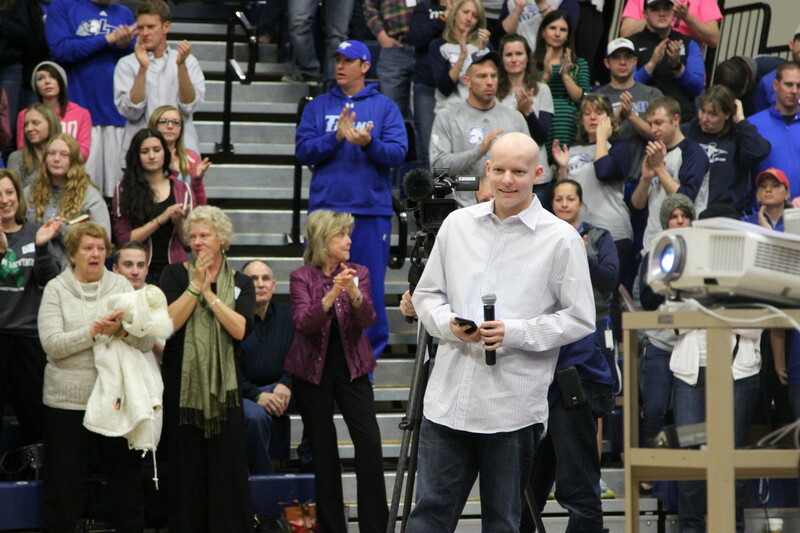 “I am still in shock of how the community came together to grant Corbin’s wish and wishes of other local Colorado children,” says Kathy Gappinger, social studies teacher and student government advisor. “The work that the 44 student government students put into the week was incredible. They gave their heart and soul.